A loan is based on the transaction of one party giving money to another party. The money is given on the condition that it will be paid back at a specified time, usually with interest. The terms of different loans are typically determined by interest rates and the amount of time that the borrower has for repayment. In some situations there are additional regulations that include how the funds will be used. Loans are issued for various reasons with some people borrowing to make investments such as businesses, homes and education. 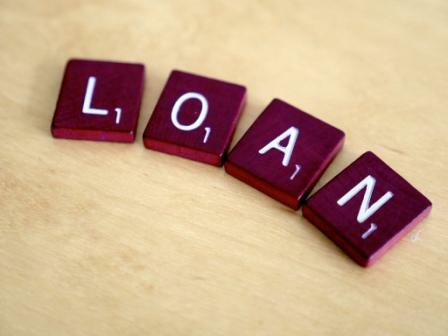 Loans are also used to cover personal costs that arise such as medical bills, cars and holidays. Although you are at liberty to borrow money for any reason, you should handle loans responsibility when you need them. Interest rates can be fixed and this means that they remain constant during the loan term. They can also be variable and this indicates that they may change. Good credit scores generally attract lower interest rates as well as loans that are secured by collateral like houses. This is because lenders face lower risks of losses if you borrow from them. If it is difficult for you to qualify for a loan, you may need a cosigner or guarantor who can help you with loan approval or lower interest rates. If your goal is to eliminate debt faster, there is the option of paying off loans ahead of time. Some loan providers may impose penalties for loan pre-payments and it is always advisable to consult the lender before you make any additional payments. When you owe an amount of money, making all the payments on time will enable you to avoid costly penalties and extra interest charges. Timely payments boost your credit score and make it easier for you to get low rates when you apply for loans in the future. Track your loans and keep up with your payments to get rid of debt faster. Whenever you make the decision to borrow funds regardless of whether you need the money to pay your bills or for luxurious expenses, make sure that you fully understand what the agreement entails. Find out the features of the loan type that you receive and whether it is secured. Get familiar with the repayment terms and your monthly obligations as well as how much time you have for repaying the loan and what happens if you miss a payment. If there are aspects of the agreement that are not clear, request for clarification and any possible changes. There are different loans that people can borrow and knowing all your options will enable you to make informed choices about the loan that you need to achieve your financial goals. Susan Ford is a local resident who spends most of her free time with her family and pets. Since her first article was published more than 10 years ago, she has continued to share information through magazines, newspapers and online sites. Learn more about Payday Loans Now here.